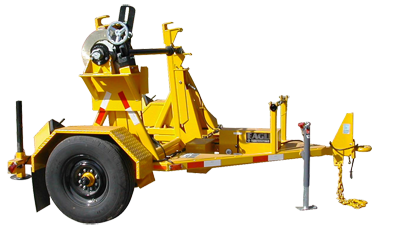 Pole Trailers and Reel Trailers by UTT - Utility Tool & Trailer, Inc. The year was 1935, and in the small Wisconsin town of Clintonville, a man named Arthur Giersbach had a radical idea: he would create a line of specialty equipment exclusively for phone and electrical line contraction companies. Calling his business the Utility Tool and Body Company, Inc., Arthur’s concept was simple: by concentrating on this niche market, he could deliver to his customers a line of equipment tailor-made for their needs. 70 years later, UTT is a lot larger and a whole lot better. Their niche markets now cover military, commercial, utility and service/support industries. Their cornerstone of delivering a better line of time-tested trailers and equipment is still at the core of everything they do. 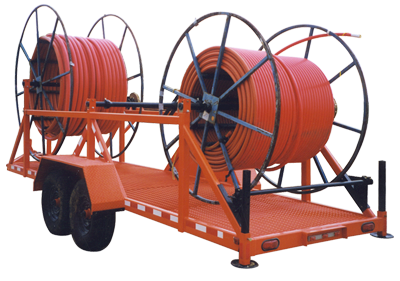 • Cable Reel Trailers - 10, 500 lbs, capacity designed for transporting and handling three large cable spools with six foot reels, sixty inch wide and six feet in diameter spools. Capacity: 5000 lbs. – 6500 lbs. Capacity: 10,500 lbs. to 15,000 lbs. 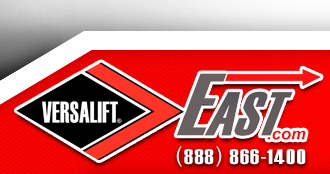 • Pole Trailers - 4,000 to 10,000 lbs. capacity designed to transport line poles with fixed or extendable lengths and fixed or adjustable towing connection. • Cargo/Combo Trailers - Various cargo bed sizes and configurations. Standard capacities from 2000 lbs to over 10,000 lbs. Reel rack options available. Fixed and extendable tongue trailers.